DEMOCRACY STREET: ...for they were not. 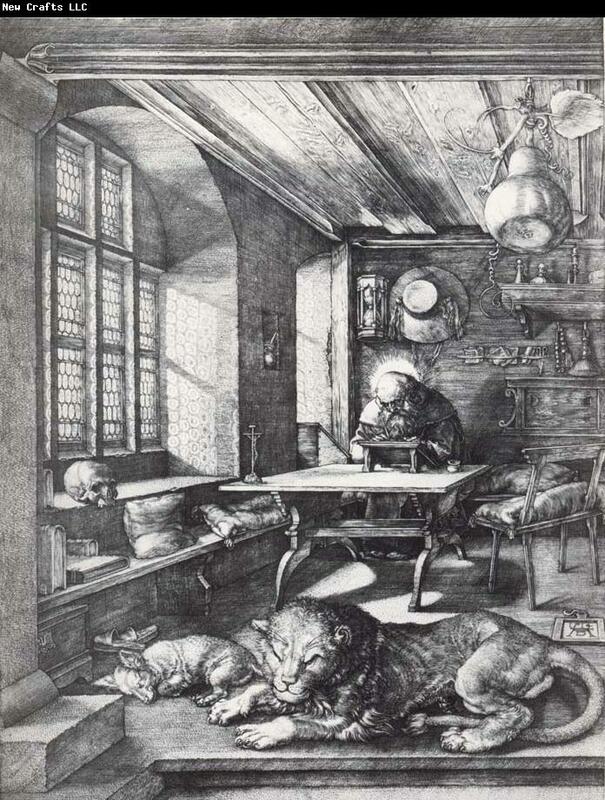 My dream study is St Jerome's as described by Albrecht Dürer - not so much the sublime spiritual dimension, more its order and the contented fauna by the desk and the suspended gourd signifying redemption and forgiveness. It looks like an anachronistic lampshade. I have finally, pressed by Lin and my own longing for a working study - instead of just the kitchen table (much as I enjoy that space) - set about tidying a marvellous mess, while listening to BBC Radio 4 - the last episode of a dramatisation of Dumas' Count of Monte Christo - the chapter of revenge. ...and what do I do with my old desk top computer and its screen and mouse and hefty external hard drive - a G5 AppleMac computer bought from KRCS Apple Centre in Birmingham (before the Apple Shop opened in the Bullring) in November 2003? It's working but seldom used; rather heavy..and painful - almost - was disposing of our aged white Sony television which we bought from Rackhams in 1980 for about £200 on a 12-month interest free deal; a most reliable old machine still working but which, even with a digibox, can no longer receive a signal. 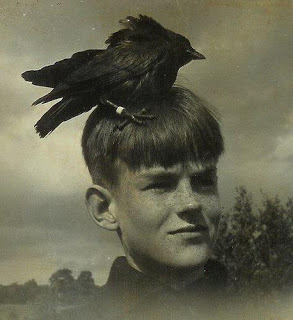 I know why my favourite bird is the Jackdaw - a bird whose mentality, in me, refers to a tendency to store trivia in the fruitless hope that all may come together to give meaning to life￼. A sword has pierced many hearts; a voice in Rama, Rachel weeping, not to be comforted, weeping for her children, for they were not. Φωνὴ ἐν Ραμὰ ἠκούσθη, κλαυθμὸς καὶ ὀδυρμὸς πολύς· Ραχὴλ κλαίουσα τὰ τέκνα αὐτῆς, καὶ οὐκ ἤθελεν παρακληθῆναι, ὅτι οὐκ εἰσί. Πραγματοποιήθηκε σήμερα στις 11 π.μ. η ετήσια Γενική Συνέλευση του Αγροτικού Συνεταιρισμού Άνω Κορακιάνας, με τη συμμετοχή αρκετών νέων μελών. Κατά τη συνεδρίαση εγκρίθηκαν ομόφωνα ο οικονομικός απολογισμός του 2011 και ο προϋπολογισμός του 2012, ενώ συζητήθηκαν θέματα όπως η τιμολογιακή πολιτική και η γενικότερη λειτουργία του ελαιουργείου. Από την πλευρά του Δ.Σ. έγινε αναφορά στα προβλήματα και τις επιβαρύνσεις που αντιμετωπίζει ο Συνεταιρισμός, αλλά και στα αισιόδοξα μηνύματα από την αύξηση της πελατείας, του κύκλου εργασιών και του αριθμού των μελών του. Των εργασιών της Συνέλευσης προήδρευσε ο Σπύρος Μιλτ. Ιωνάς, με Γραμματέα το Νικολούζο Σπυρ. Νικόλαο. Το ραντεβού των Συνεταίρων ανανεώθηκε για τις αρχές του νέου έτους, οπότε θα πραγματοποιηθεί η επόμενη Γενική Συνέλευση. 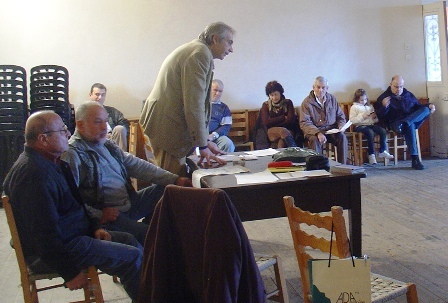 At 11am on Sunday the Annual General Meeting of the Agricultural Association of Ano Korakiana was held with the participation of several new members. The meeting unanimously approved the financial statement for 2011 and the budget for 2012 and discussed issues such as the pricing and overall functioning of the olive mill. The Board referred to the problems and costs facing the Cooperative, hopes for increasing custom, turnover and members. The work of the Assembly was chaired by Spyros Milt. Ionas with the Secretary Nikolouzo Spyr. Nicholas. The appointment of Associates was renewed from the start of the new year, to continue through to the next General Assembly. ...and Dimitroula, grand-daughter of our neighbours Lefteris and Vasiliki, was playing flute the other evening at the Ionian Conservatory Christmas concert in the Monastery of St Francis in the city. I will never forget the day about this time of year 4 years ago. I was sitting in my office reading a document when my computer beeped, notifying me that I had a new email and there it was. A message from barbaraburnettstuart@btinternet.com An email from a 91 year old. In that moment, I smiled the smile we have all smiled so many times in our interactions with the human being I (and many of us here) I proudly call our grandmother. Never just a token smile – always a real smile that made your whole body tingle as I delighted in Grandma’s constant ability to surprise us all. Now I am sure you all want to know the content of this 91 year old’s email, so let me read it to you. For me, that email summed up Grandma, always yearning to learn and discover, an immense thirst for everything new. Where many of her generation would despair at new technology and convention disrupting the traditional and conventional, she would delight. And she wouldn’t simply delight, she would adapt and embrace. I can tell you that it is more than mildly embarrassing when your Grandmother has an iPad before her Grandson does! Even more embarrassing when your grandmother asks for your Skype address and you have to timidly explain that you aren’t on Skype. This was how she led her life – always looking forward and seeking out the new. I will never forget the excitement with which the arrival of Starbucks in Inverness was greeted by Grandma. She happily swapped her tea and digestives for a cappuccino and chocolate brownie and never looked back. And while we are on the subject of swaps, who can forget the great llama for sheep exchange – I vividly remember her beloved Angus almost falling off his chair as Grandma announced she was to become the joint proud owner of a pair of llamas which were going to reside next to the Garden. Whether it was llamas or ipads or cappuccinos – it was all part of the adventure that was grandma’s life, and it was a constant inspiration to us all. A reminder that resonates today more than ever that life is to be lived to the full. In A A Milne’s Winnie the Pooh, Winnie asks Piglet “What day is it, Piglet?” Piglet squeaks back “It’s today, Winnie” Winnie responds “That’s my favourite day” Grandma lived a life of favourite days and on her journey she accomplished so much – a photographer, a publisher, a journalist, a war correspondent, she was the first women’s editor of Farmers Weekly. She edited, commissioned and part-authored a range of country life books. She was a staunch supporter of many charities and regularly used her network of grandchildren to pound the streets of Inverness collecting money for the Samaritans. And of course, there was her beloved Angus - and their 40 years together was another great accomplishment. 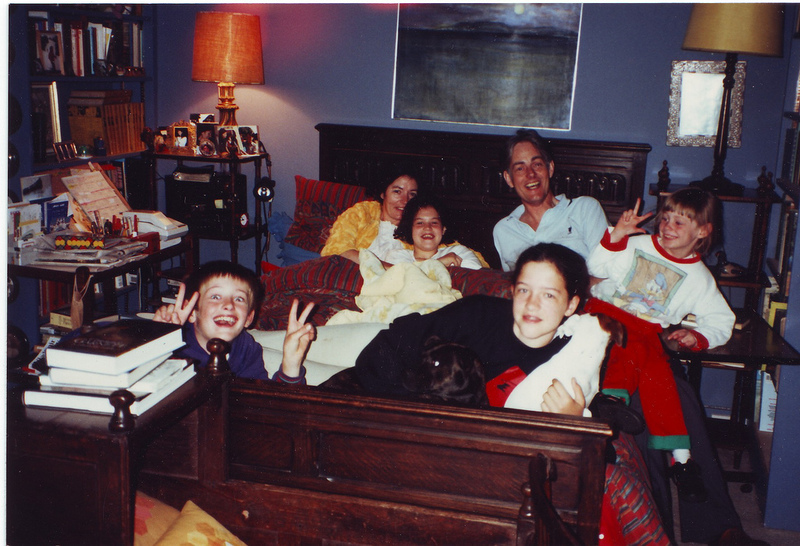 The life they made for themselves for 30 years at Mains of Faillie enveloped us all in its warmth and joy. 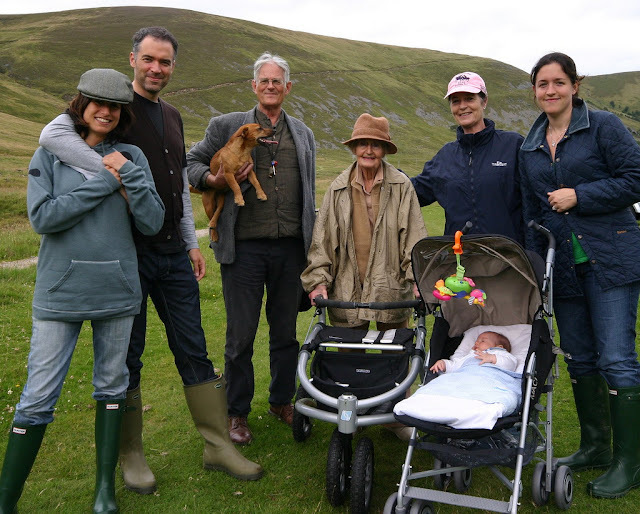 Our annual 2 week summer pilgrimage to Faillie to see Grandma and Grandpa (as Angus became to us) was like Xmas – the highlight of the year and for me, the beginning of a love affair with Scotland and the Strath. At Faillie, every day we would wake to a new voyage of discovery – Grandma would pack the rented camper van with picnics and dogs and multiple toddlers and children and off we’d go in pursuit of adventure. Nothing would stop us, for Grandma, a locked gate or a private lane was an invitation to explore and on the many times we were confronted by an irritated gamekeeper or an angry farmer, our intrepid bold Grandmother would remarkably quickly turn into an innocent and charming old lady who had seemingly lost her way while trying to shepherd her herd of errant young grandchildren. Within seconds the farmer’s frown had melted into a smile and regularly elicited an invitation from the farmer to come again and have some tea. But the real highlight of our days at Faillie were storytelling at bedtime. It was magical for all of us as the adventures of the day were matched by tales of fantasy read by Grandma. She always had the most amazing selection of books born out of another of her great passions – reading. She was a prolific reader and as in every vein of her life she sought out the different and bold as well as the traditional. She introduced me to everything from Charlie and the Chocolate Factory to the Koran. Her bedside table was always a fascinating patchwork quilt of literature. For her sitting in an armchair with a book took her on as much of an adventure as the real thing and she instilled that sense of imagination in us all. Albeit I will never forgive her for deliberately getting me hooked on ghost stories from a young age! But that was part of another great treat – the streak of mischief and cheekiness that flowed through Grandma. She loved a bit of naughtiness and even better a good tease delivered with that cheeky grin. Let me read you one more email that she sent me. “Dear Anthony, I hear on the grapevine that mum and dad’s guest room is full of Anthony Gutman’s clobber and paraphernalia. Please urgently rectify, otherwise your ancient Grandma will spend Christmas sleeping in the loo. Love Grandma.” Anyway, I could carry on for many hours but let me finish by saying grandma left an indelible imprint on all of us and that makes this a sad day, but one that’s tempered by the knowledge that that imprint will always be with us, particularly with her children, Bay and Simon, Fiona and Jennifer, and her grandchildren and now her great grandchildren. With that in mind let me tell you a final story. A week or so after Grandma passed away, a little present arrived for us in the shape of a 7lb 7oz baby girl with a full head of hair and the face of a cherub. Unfortunately she developed some complications and was transferred to an intensive care unit. It was a terrifying time for my wife and I and all our family, but our little daughter fought hard and, like a mini-Barbara, showed steely determination (and equally like Barbara sometimes steely stubbornness, as well as an incredible ability to be awake when everyone else wants to sleep!). And after four days, our daughter recovered and hasn’t looked back since. And as she has already done in the short time she has been on this planet, I am sure she – like all of us – will perpetuate Grandma’s traits and values – Grandma’s thirst for knowledge, her curiosity, her sense of adventure, her love of friends and family, her unbelievable resolve and courage, but above all, that cheeky smile and that zest for life. - Immediately, a smile appeared on my face and I knew that things were looking up for the store. I asked the clerk to take it out for inspection. - Holding it in my hands, I knew I had to take it home. How does she shoot? I am vexed at the repeated assumption that li'l country towns are safe 'from this sort of thing', that spree killings of the kind with which the world has become too familiar are 'anomalies'. Don't believe it. That's where this stuff happens (The Bath School bombing in 1927, Hungerford 1987? Dunblane 1996? Aramoana 190? Port Arthur 1996? Virginia Tech 2007 in Blacksburg - a town of under 45k? Columbine 1999? Aurora 2012? Cumbria 2010? Utøya Island 2011? *) in small and medium settlements where the countryside is just close enough for some citizens to get away with running around with heavy weaponry. In cities there's usually a majority of sane voters supportive of tight regulation..and rather better mental health services ("We need to talk about, Kevin" see 12 Feb blog). 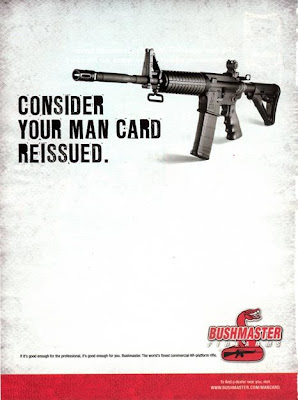 *Yes. I know. There was that man with the knife in Tokyo's Akihibara quarter, but it hardly changes the point made by Sherlock Holmes. Born: 11 February, 1917, in London. Died: 1 November, 2012 in Inverarnie, Inverness-shire aged 95. 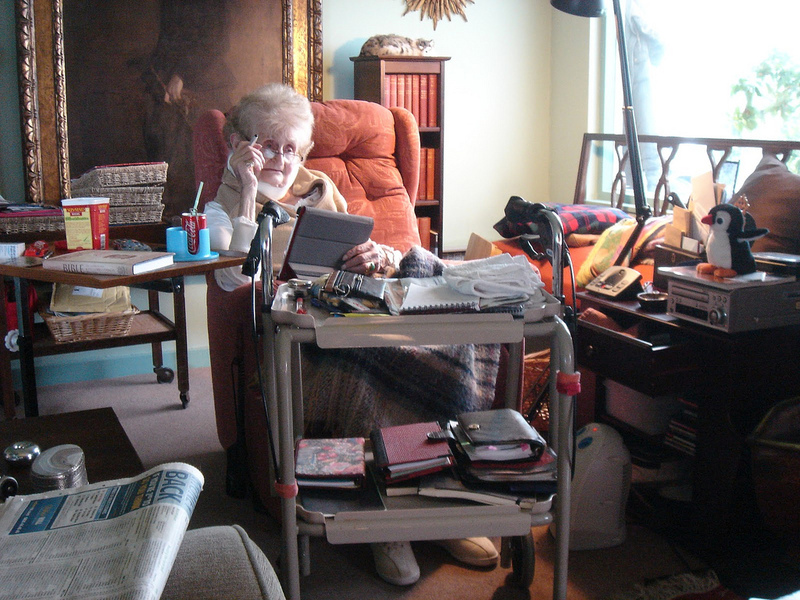 Only days before she died, nonagenarian Barbara Burnett-Stuart was listening to Radio 4 – via her iPad. A few years earlier she had mastered e-mail and become part of the Skype generation. But her resourcefulness and curiosity were perhaps not entirely surprising, given her own history and heritage: the daughter of a Government Code and Cypher School founder whose feisty wife escaped South Kensington to set up an Essex dairy farm, she had been both a debutante and a war correspondent for Vogue. A sense of adventure and an ability to adapt were evidently in her blood. They were also traits she needed to survive in the male-dominated world of Fleet Street where she was a successful magazine editor. 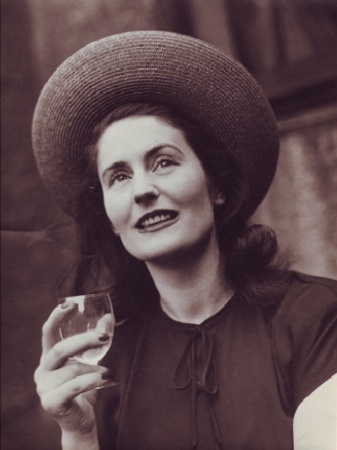 She went on to publish and edit numerous books, sometimes under the guise of a male pen-name, and enjoy a long relationship with journalist and broadcaster Jack Hargreaves before marrying the head of a newspaper group and retiring to the Highlands. 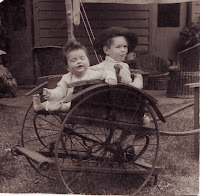 There she introduced her grandchildren to rural adventures and delighted in the surrounding rivers, tracks and hills. Though she was born in Hereford Square, London, she was proud of her Borders roots as a descendent of Kelso-born Sir Henry Maine, an “evolutionist” thinker and Cambridge University law professor. Growing up in Kensington between the wars she enjoyed a privileged lifestyle with a maid, servants and cook, but a new life began when her mother introduced her and her sister to a “secret”. Thinking she was about to be presented with a pony she was terribly disappointed to discover it was a funny little thatched cottage, down a country lane, in the Essex village of Clavering. In an effort to do something useful with her life, her mother had acquired the property where she proceeded to farm at the weekends, somewhat amateurishly initially, before moving outside the village to Mill End, where she bought some Jersey cows and established a dairy farm. 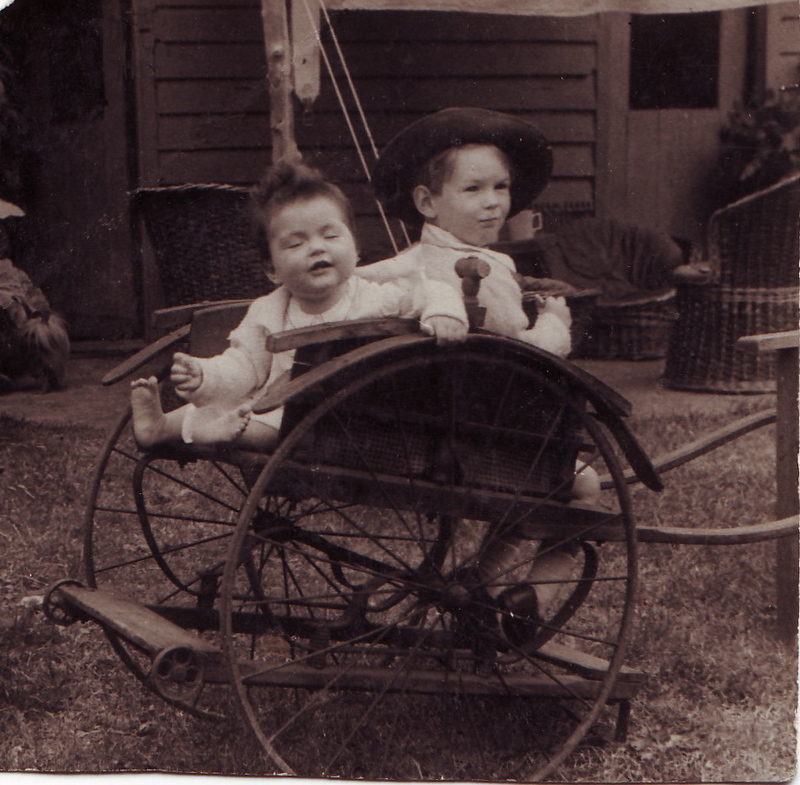 For the youngsters, brought up as nursery children, Clavering was an idyll, a place where they could career around on bicycles and enjoy previously unheard of activities such as shopping for sausages at the local butchers. Meanwhile, their father worked as a secretary to Queen Mary at Buckingham Palace where, in the late 1930s, young Barbara came out as a debutante. She then began her journalistic career at Vogue magazine where she reported and arranged photo shoots. .... where she continued to help out on the farm. Cleared as a war correspondent for Vogue, in 1946 she was given permission to visit and report from Vienna. She later recalled one memorable episode during the trip – an evening spent drinking with Russians, French and British in a nightclub where the entertainment’s finale featured a naked young dancer parading on the back of a baby elephant. By the late 1940s her marriage had failed and she was working on the women’s magazine Home Notes. At a Fleet Street event she met the editor of Farmers Weekly, who offered her a job starting up a women’s section of the publication. She became the first editor of its women’s pages, writing and commissioning articles on the countryside and country living, the home, produce and recipes. She was there for 14 years and was hugely encouraged by her partner Jack Hargreaves, with whom she began a relationship in 1948. Although they never married, she changed her surname to his by deed poll and published and edited numerous books as Barbara Hargreaves, including Handbook of Country Crafts and The Sporting Wife: Game and Fish Cooking. She also used the pen-name John Bedford and edited the book Restoring Junk, decades before recycling old furniture became fashionable. Other publications covered pressure cooking and deep-freezing food. She left Hargreaves in the 1960s and married Angus Burnett-Stuart, a Dunkirk veteran and head of Thomson Regional Newspapers, in 1965. They had been social friends and he first fell for her when he saw her as a 16-year-old girl. She was living on her own when he came into her life again and he was finally able to win the woman he adored. They lived in Cheshire for some time and she continued her own publishing career when they moved north to the Highlands after he retired. They settled at Mains of Faille near Daviot and she was involved in many local causes, including the Samaritans. 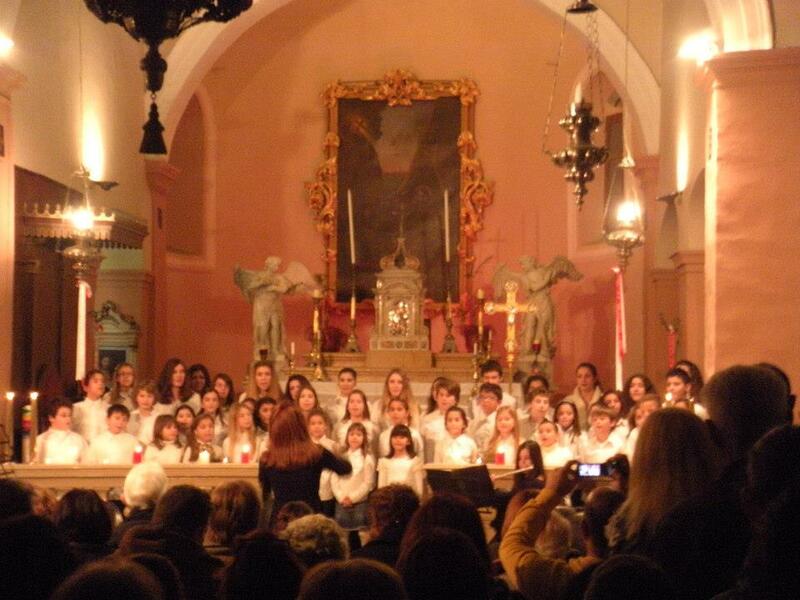 She also enjoyed the company of her extended family, who would descend on her home in the holidays. She would pack a camper van with picnics and a gaggle of dogs, toddlers and older children, setting off on adventures with her little gang of explorers. Little defeated her, not least a locked gate or private lane. Confronted by an irate gamekeeper or angry farmer, as she often was, the intrepid grandmother could quickly metamorphose into a charming, innocent old lady who had simply lost her way while shepherding her straying brood. She was ever eager to learn and it summed up her thirst for new experiences. “More than anything else she wanted to be an independent woman with a career,” said her son Simon. “Her mother had tried it and never quite broken through. She used to say that her mother was always a bit disappointed with her life. My mum was anything but disappointed. She is survived by her children Simon and Bay, step-children Fiona and Jennifer and extended family.